We search for high-quality companies with attractive valuations and catalysts for performance. We look for companies that are experiencing above average growth driven by structural and cyclical factors and are trading at attractive valuations. At the core of our strategy is our cluster approach. We strive to build portfolios with cluster of stocks with related fundamentals that leads to strong differentiated risk adjusted returns. We believe that the lack of research coverage combined with the large number of companies operating in the international small-cap space creates a very attractive investment pool. Additionally, lack of liquidity in the space can also cause valuation anomalies. Apart from strong return potential, international small cap stocks can play an important role in enhancing the risk adjusted return profile of a diversified portfolio. 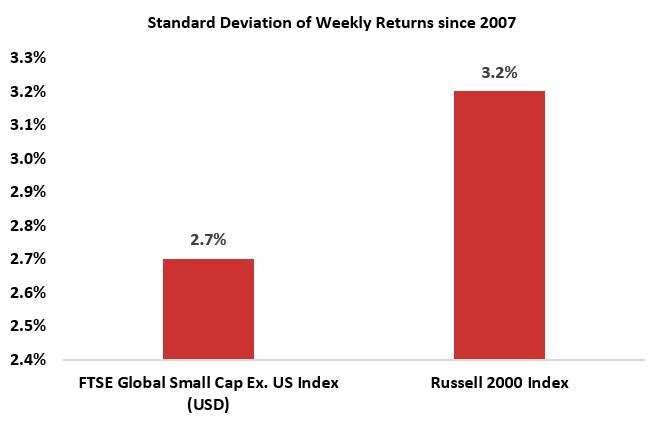 The enhancement primarily is a function of the asset classes’ low correlation with the S&P 500 as well lower levels of absolute volatility in dollar terms relative to US small caps. Superior returns and risk metrics – compares favorably to ETF’s, active funds and benchmarks.